A bombing survivor takes on the marathon, and other reasons Patriots’ Day will be different this year. 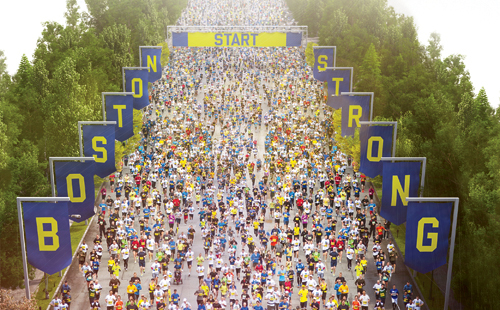 The Boston Marathon, to me, has always represented renewal. That’s an odd thing to say about the world’s oldest continuously run marathon, but its place on the calendar (the third Monday in April, Patriots’ Day), and celebratory, out-of-hibernation vibe have reliably pulled the dreary tarp of winter off my back every year for the past decade. Never mind the vernal equinox; it isn’t spring until we’re in Beantown, running every morning along the Charles, meeting readers at the expo, and making the pilgrimage from Hopkinton to Copley Square (or at least cheering for those who do). This year, the importance of renewal has been magnified, its meaning redefined. All the Boston marathoners I know are anxious to “turn the page” or “close the loop.” The two bombs that exploded near the finish line last year killed three people and injured more than 260 others, 16 of whom required amputations. But the Boston Marathon has been an irreplaceable part of the running community for 117 years, for reasons that have nothing to do with bombs or tragedy. The 118th race, on April 21, is about taking Boston back—which means it will be more than a mere marathon this time around. It won’t be the biggest Boston ever (36,000 entrants, shy of the 40,000 who ran the 100th anniversary race in 1996) but it will be the loudest and most emotional (at least 1 million spectators are expected to line the streets, twice the normal crowd), and certainly the most secure (more than 3,500 police officers, double last year’s number, with no bandits on the course or bags at the start). Whether these changes will enhance or diminish the marathon is a matter of opinion, but there’s no doubt that this year’s marathoners will be the most eclectic group yet to attempt this storied race. The majority of them have qualified, as always, but they are especially speedy: According to the Boston Athletic Association, which administers the race, nearly half of the 23,081 BQers beat their qualifying times by 10 minutes or more—and almost 20 percent ran at least 20 minutes faster than their standard. Another 4,615 runners have spots because they were unable to finish last year, and more than 8,000 others were awarded bibs because they were victimized by the bombings or they won an essay-writing contest or they’ll be raising money for The One Fund or other charities. This unprecedented, never-to-be-repeated field will include people who are not just first-time marathoners but also brand-new runners. One of them is Leo Fonseca. I’ve known Leo for 17 years, almost as long as I’ve known my wife. The two of them have been close since their 20s, when Kira and Leo and all their friends were tending bar and waiting tables all over Boston. He grew up in nearby Lynn and has lived most of his life in the city. He’s now the CEO of the Stephanie’s Restaurant Group, and he seems to know hundreds of people in a series of overlapping social circles. Leo is a big Boston sports fan who grew up playing hockey and baseball, but he’s never been much of a runner. I recall seeing him run only once, during a softball game. Until recently, he’d only run occasionally, with prodding from his then-girlfriend, Kaitlynn Cates. Still, to Leo, the marathon is one of Boston’s best days. On Patriots’ Day last year, he and Kaitlynn, a 25-year-old runner who one day wanted to run Boston herself, were in front of Marathon Sports on Boylston Street, waiting to cheer on some friends as they finished. A series of delays and coincidences—they sat on a patio at a restaurant on Newbury Street for 25 minutes but never got waited on—placed them at that exact spot at that exact time, just past 2:30. Kaitlynn was getting cold, so Leo went around the corner to his SUV, which was parked in the alley behind Stephanie’s on Newbury, to get a blanket. When he got back, Kaitlynn was welling up watching the back-of-the-packers make their way home. They were beaming, grimacing, crying, pausing to hug their children, raising their arms in triumph. It was a mesmerizing display of humanity, and of community. A young girl in front of her was holding up a big pink sign, so Leo, who’s 6’4”, suggested he and Kaitlynn switch places so she’d have a better view. A couple seconds later, the first bomb, hidden in a backpack a few feet away, went off. Both of them were knocked to the ground. “It was the loudest thing I’ve ever heard in my life,” he says, “and the smell…I knew it was a bomb.” His first thought was that there would be a second one, so he lay on top of Kaitlynn and told her to stay down. His ears were ringing and he couldn’t tell if he was hurt or not. After the second explosion, Kaitlynn began screaming, “Get me out of here!” Leo asked if she was hurt. She said, “Yes, it’s my leg.” He looked down and saw that her right calf was badly injured and bleeding heavily. Leo pressed the blanket against the wound and, walking across shattered glass and past other bloodied spectators, carried her to his SUV. A stranger helped get Kaitlynn into the front seat. Leo took off his sweatshirt and T-shirt, and put the shirt into the wound, tying it down tightly with the sweatshirt. A few ambulances and police cars were screaming toward Boylston, and he tried to flag them down. But they didn’t stop, and he realized he couldn’t wait for help to come to them. So he jumped behind the wheel and sped the two miles to Mass General, going the wrong way on Exeter and Beacon streets. 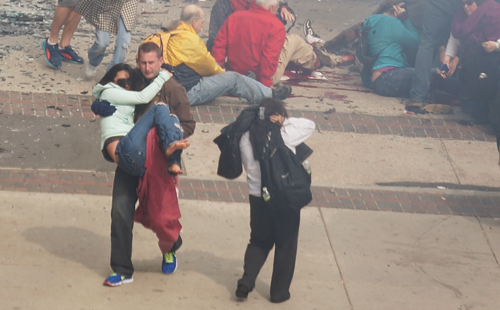 He carried Kaitlynn in, screaming about the bombings, which got puzzled looks. What bombings? Leo was covered in blood and still couldn’t believe he wasn’t injured. “I thought my mind was playing tricks on me,” he says. After Kaitlynn was stabilized, doctors told him he definitely had saved her leg and probably her life. And with that, both Kaitlynn and Leo had entered a new circle. They were now Boston Marathon bombing survivors. In December, both were offered two entries each into the 2014 Boston Marathon. Leo figured he’d give his to a charity but then he heard other survivors—people who’d lost legs—say they wished they could use their entries themselves. He thought, What’s my excuse? 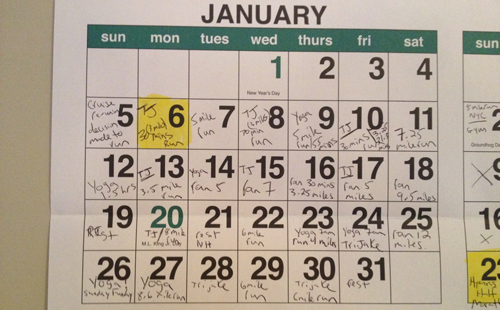 The next morning was January 6, exactly 15 weeks before Patriots’ Day. Leo consulted a friend who’s a trainer, Jake Maulin, who offered to craft a training plan and send it to him one week at a time so he wouldn’t get overwhelmed. 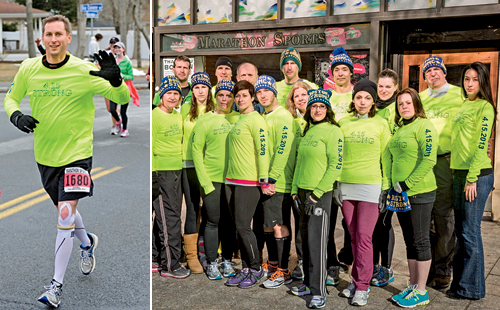 They scheduled two half-marathons along the way for intermediate goals. His first workout was that very day: 30 minutes. It was freezing outside, so Leo pulled on sweats and a pair of Brooks Defyances he had bought with Kaitlynn, and set out, lacking gloves or any idea what to expect. “I was miserable the whole time,” he says. He got winded immediately, his knees hurt, and he had to walk several times. “I got back and told Jake, ‘There is absolutely no way I can do this,’” he says. Including treadmills—Leo had never set foot on one before. “I just stared at the screen waiting for the numbers to change,” he says. “I stopped 15 times.” That did it. He was through. He thought, Hey, it was fun to think about for a couple days. But then Greg texted him a photo of his own workout from Nike+. Leo was miserable enough to quit on himself, and he could explain it away to his friends. But he couldn’t quit on his brother. So before his third run, he went to Marathon Sports and got some proper running gear. Then he did three miles. Away from the treadmill, he thought, Okay, this feels better. That Saturday, he set out on what would be the longest run of his life: six miles. Except it was pouring rain and his phone got wet, so he couldn’t track his distance. From his office in South Boston, he ran around Castle Island and back. He told a friend at the restaurant what had happened, and the guy told him how to measure his route on Google maps. “I never had any reason to know you could even do that,” Leo says. 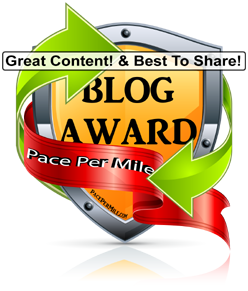 “Turned out I had gone 7.25 miles. That was a huge confidence boost, and things began to snowball from there.” Still, many of his friends remained skeptical, if not openly dismissive. It made him angry that he’d gotten so out of shape that a marathon seemed so outlandish. Over the next month, that sense of regret helped him push through other low moments. In early March, I was in Boston and went for a run with Leo. We left his office at the end of the day and headed for Castle Island. The hearing in his left ear still isn’t good, so I ran on his right side as we made our way through South Boston. It was cold, and he was decked out in his usual gear: a balaclava, tights, warm gloves and a running jacket with his Camelbak underneath so it wouldn’t freeze. “I could go skiing in this outfit,” he said. 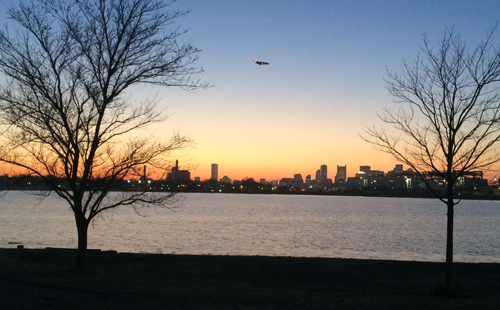 “I cannot wait to actually run in shorts.” Out on Castle Island, it was so clear that we could see a necklace of lights emerging from out of nowhere, planes coming in to land at Logan Airport. This view of the city was totally new to me, as it was to Leo when he started running out there. It’s one of many pockets of Boston that he’s seen for the first time, on foot, over the past few months. He has no time goal for the marathon, but he’d love to stay near the 10-minute pace he’s been hitting on most of his training runs. Although he’ll head out to Hopkinton with his 4.15 Strong teammates, he plans to run alone. No headphones, so he can take it all in. And per the new security policies, no Camelbak. So that he drinks enough, he may walk through every other aid station. He’s as unsure about what to expect as he was on that first half-hour run. Leo’s running life began with 30 tortuous minutes on January 6. That day is highlighted in yellow on a wall calendar in his office, hanging next to his finisher’s medals from Hyannis and Ashland. Each successive square on the calendar lists that day’s workout. The last square with writing in it is also highlighted: April 21. It says MARATHON. It must have felt strange to even write that. Leo doesn’t know exactly where Kaitlynn will be on that day. Boylston might be too overwhelming. He knows it isn’t easy for her. But she’ll be watching, because they’re in this together.